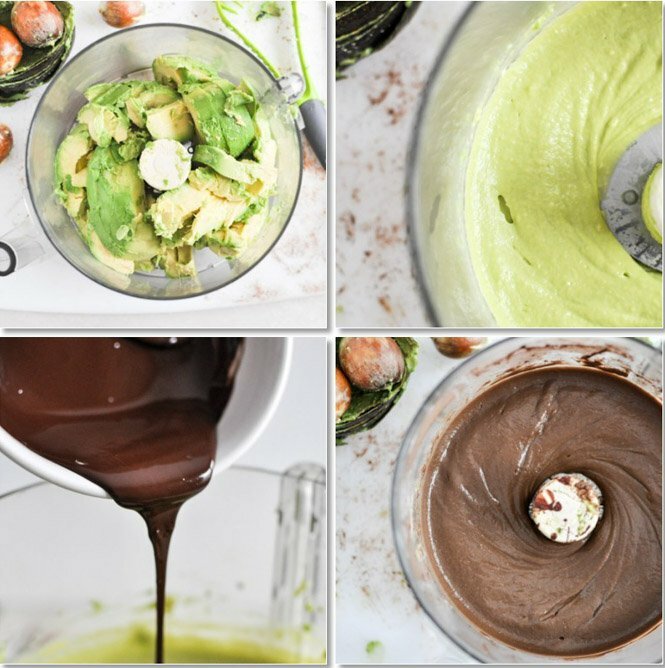 When life hands you avocados… make pudding? Though I have to admit that my first choice would be guacamole. 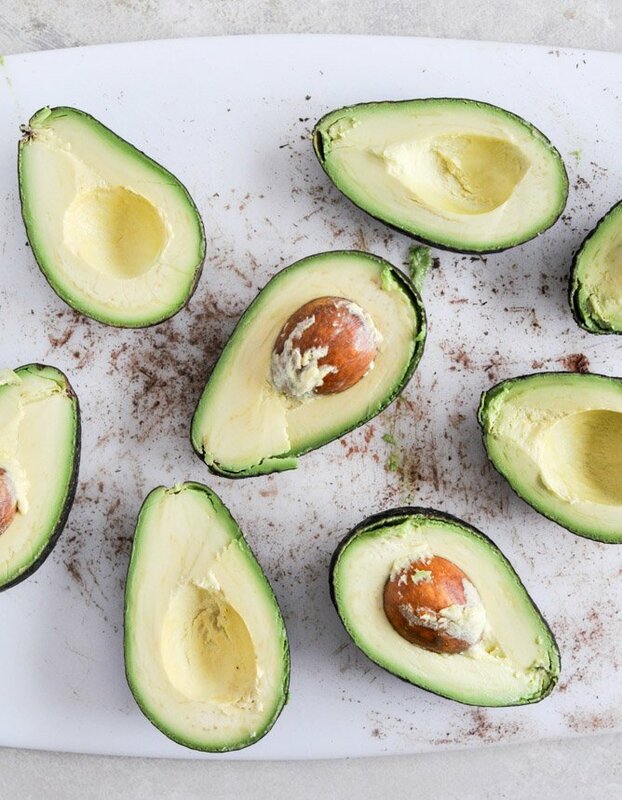 However, sometimes life hands you avocados when you already have a large vat of guacamole in your fridge because life is so, so good. In that case, yes… make pudding. After you’ve OD-ed on your fair share of avocado toast. 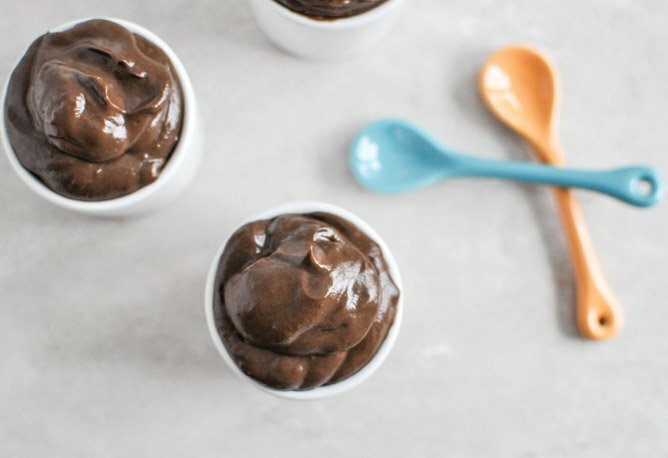 You may remember last year that I made chocolate avocado pudding and then proceeded to eat it like… every single day of my life. My go-to recipes came from a mesh of Lisa and Jessica’s, then sort of warped into this version that I perfected to my taste buds and have been making ever since. Yeah. 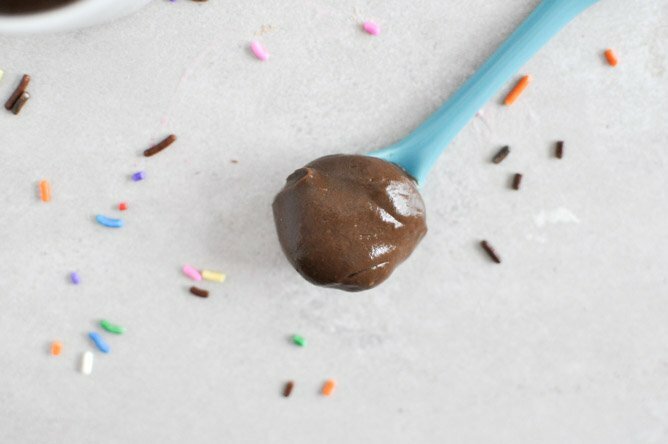 Melted chocolate is where it’s at. Very true story: I ate this practically every afternoon for a little snack before yoga for maybe two months? Three months? It’s full of antioxidants! It was the best thing ever. It was also the hugest thing ever, because I get bored super easily. Especially with my food. I haven’t even eaten dinner tonight yet and I’m already bored with it. 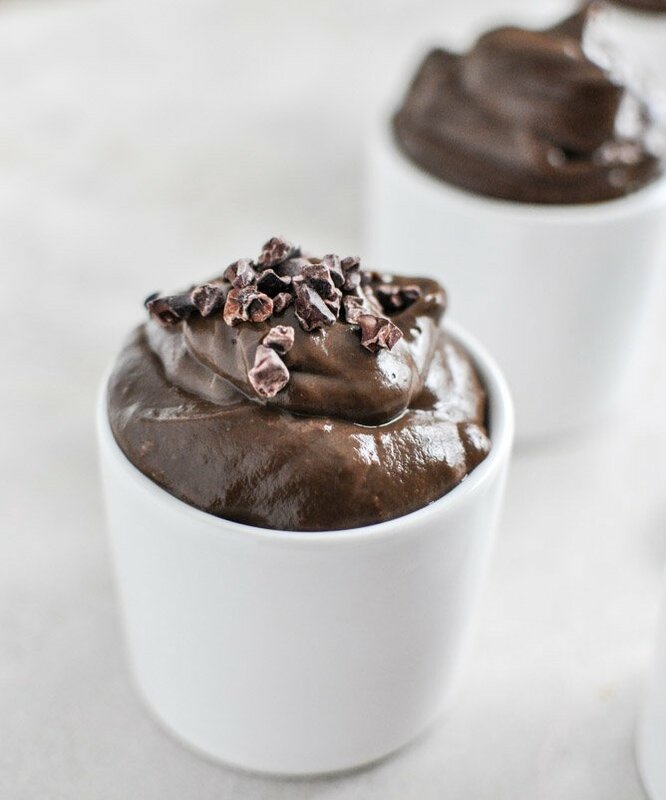 The other thing is that I really always want to eat this for dessert but I have an intense, passionate abhorrence for cleaning my food processor. I loathe it more than I loathe cleaning normal things which is a lot. Especially when the sun goes down and I’m exhausted and watching new-but-terrible-but-still-worth-it 90210 or something. The sun going down is pretty much my gauge for productivity so yeah… daylight savings time can happen right now please. Anyway, that’s how I satisfying my obsession. 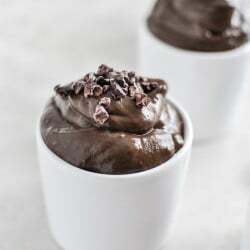 Chocolate avocado pudding for an afternoon snack. I think I’m bringing it back. 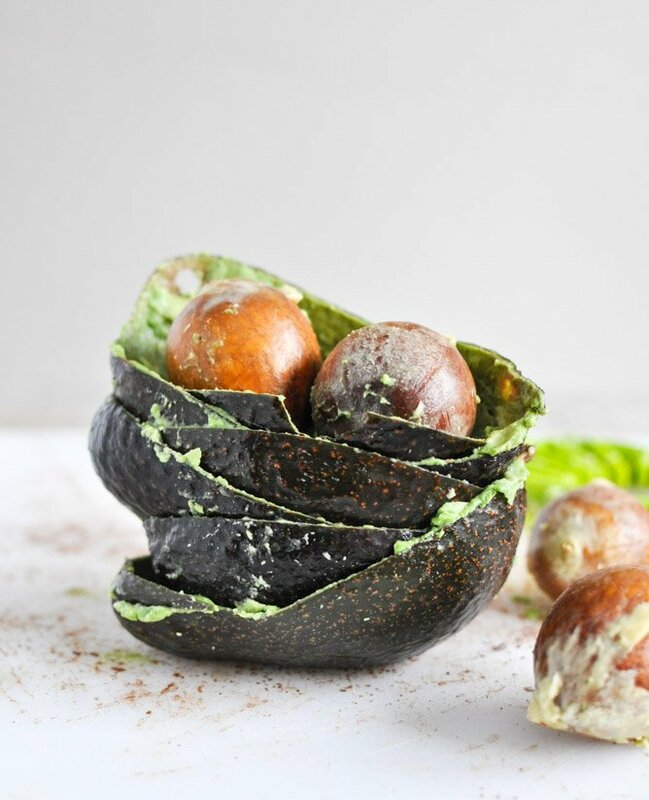 If you’re an avocado hater, well… I’m not going to tell you that you can’t taste the avocado at all. I mean, sometimes you can’t whatsoever. I believe that it depends on your crazy mental state and the ripeness of your fruit, which will differ each time but can be somewhat managed with sweetener and cocoa or chocolate. I use honey because I can’t get on the agave train and overall, I just find honey to be a bit more versatile for my everyday kitchen. I put it on Greek yogurt and mix it with peanut butter and I’d put it in tea if I drank it, which I never will because that stuff tastes like dirty water. Oh yes it does. 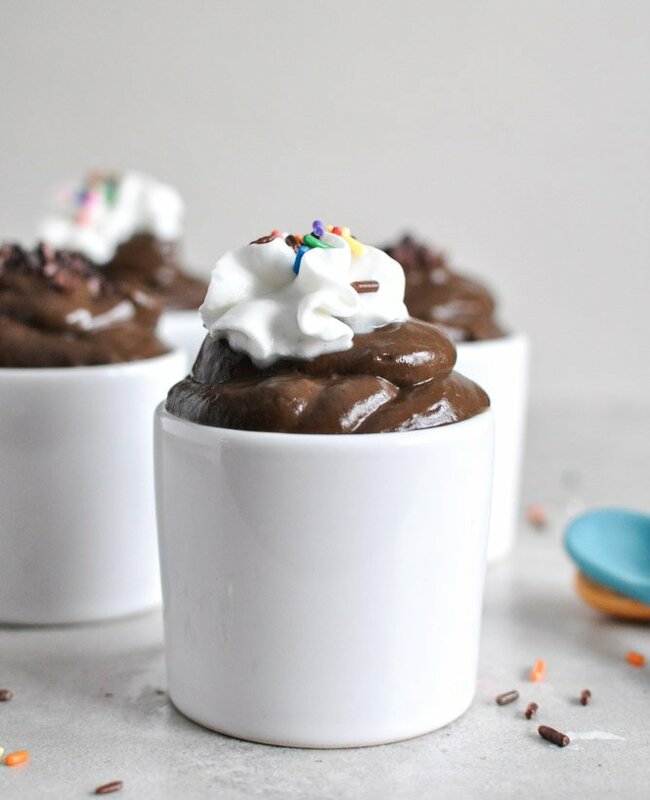 If you’re an avocado lover, then you’ll probably adore this pudding, will rarely be able to taste the avocado and will soon become addicted to this little treat that is totally worth dragging out your food processor and cleaning that giant hunk of junk. Ugh. So annoying. Can’t someone create a self-cleaning processor? I think it would make millions. 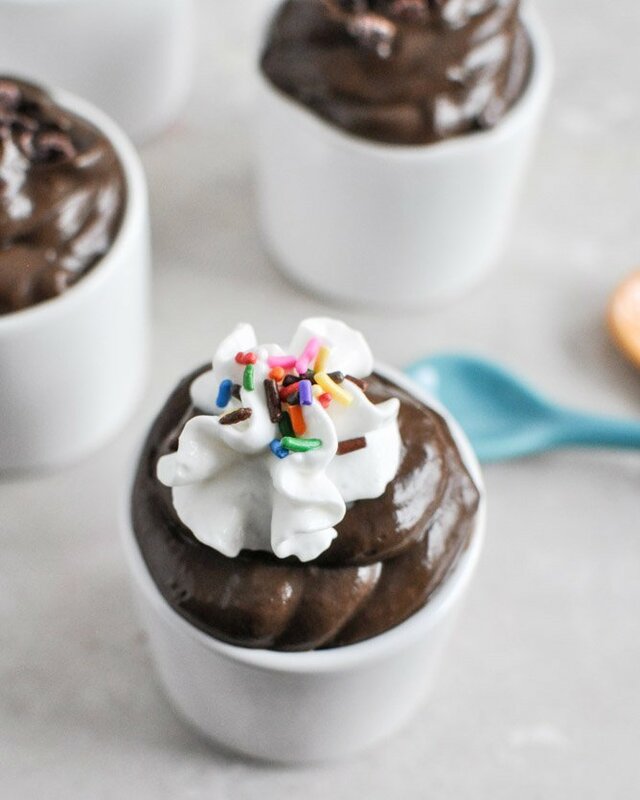 I think the moral of the story is that everything (especially Monday) is better with chocolate. Pingback: Sweet Treats You Won’t Feel Guilty About Eating. Read More. This is lovely, I will do it for my daughter’s coming birthday party.